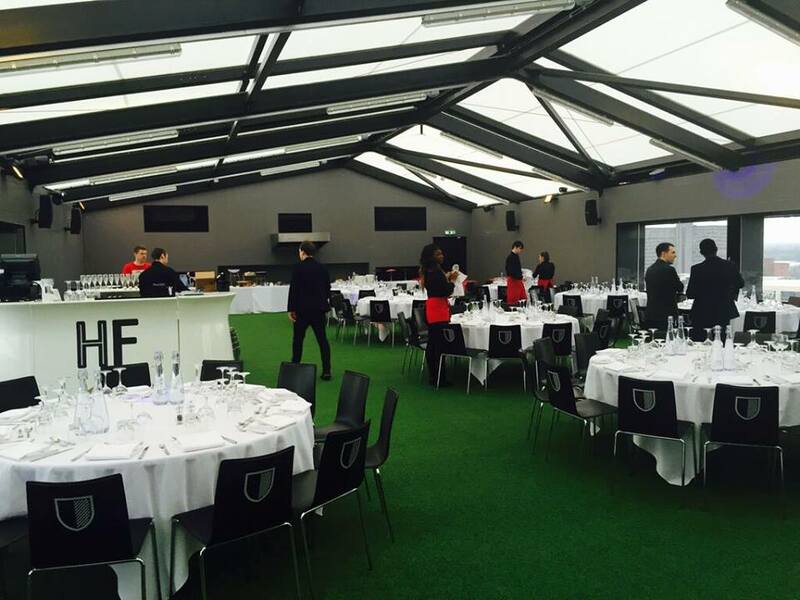 Events at Hotel Football are nothing less than spectacular! From dinners to discos, barmitzvahs to weddings, business meetings, training days or BBQs on sultry summer nights! 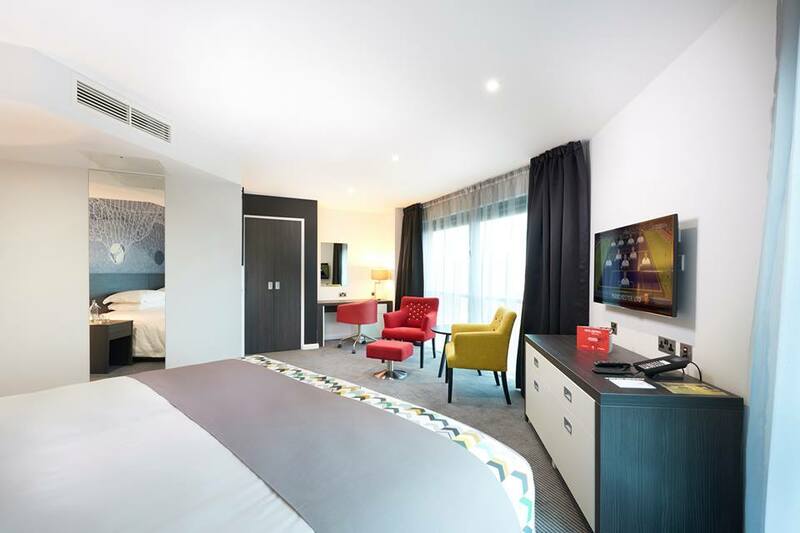 The team at Hotel Football can create your vision. The only limit is your imagination! 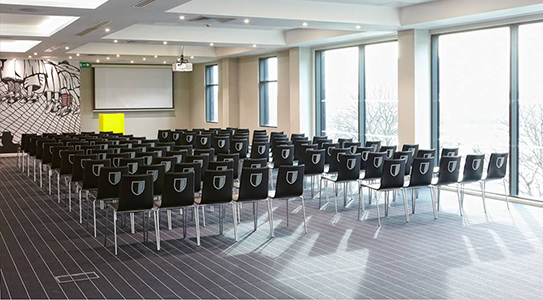 Maximise your performance in one of our 6 meeting rooms. Whether a boardroom meeting in one of our bespoke Owners Rooms, or a conference for up to 350 in our Stadium Suite, our dedicated event agent will make sure your meeting is pitch perfect. Our goal is to create a fantastic dining experience for you and your guests. Meet for a drinks reception in our exclusive Players’ Lounge, then continue to the Stadium Suite for a truly unforgettable experience. Enjoy bespoke menus created by Executive Chef Brendan Fyldes and 2 Michelin Star Chef Michael Wignall, surrounded by awe-inspiring views of Old Trafford and the Manchester skyline. We will inspire and delight you from every angle. Great, handmade food inspired by the beautiful game. A memorable dining experience in a unique environment. Love Food. Love Football! 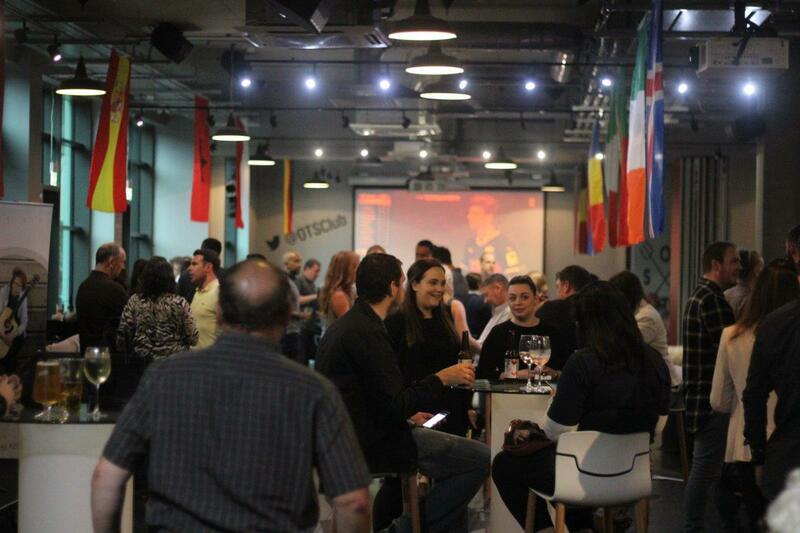 Events at Hotel Football, Manchester, are nothing less than awesome, from dinners to discos, barmitzvahs to weddings, business meetings to training days to BBQs on sultry summer nights! Your dedicated event planner can create any vision. The only limit is your imagination. 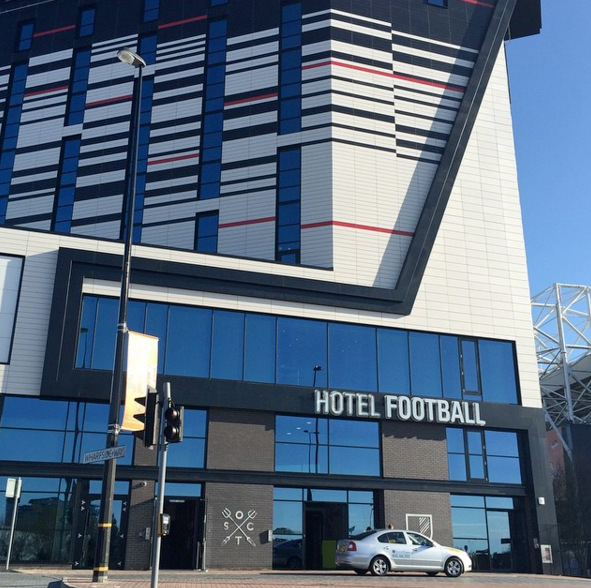 Hotel Football is home to the Old Trafford Supporters Club, the first of its kind in the world! 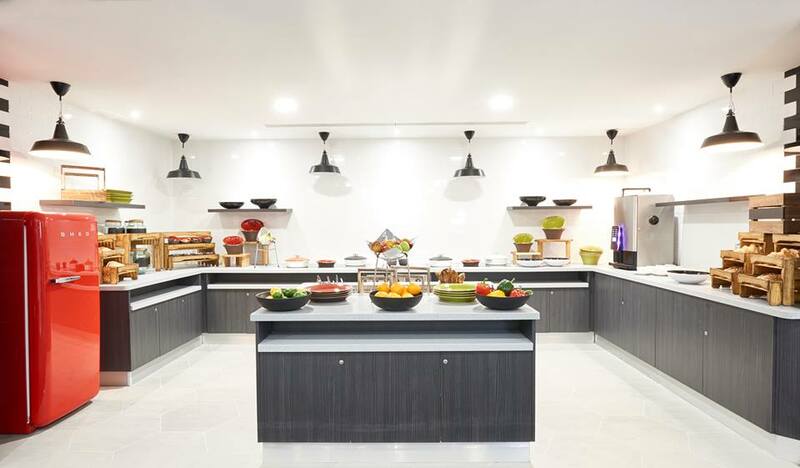 The ultimate fan space with 29 TV’s, our onsite Pie shop, a sports area and of course a fully stocked bar! 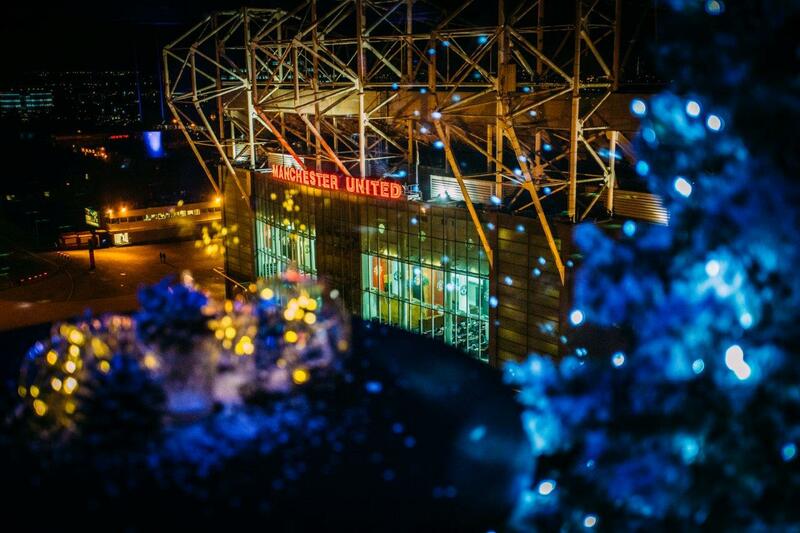 Old Trafford Supporters Club is the venue for you if you are looking to reinvent your sportsmans dinner or hosting a large scale drinks reception for parties up to 500 people. 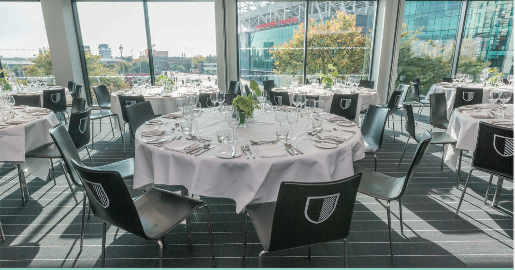 Catering for parties up to 250 people and offering spectacular views of Old Trafford and Greater Manchester at Heaven you no longer have to rely on the great British weather for your party to be a success. 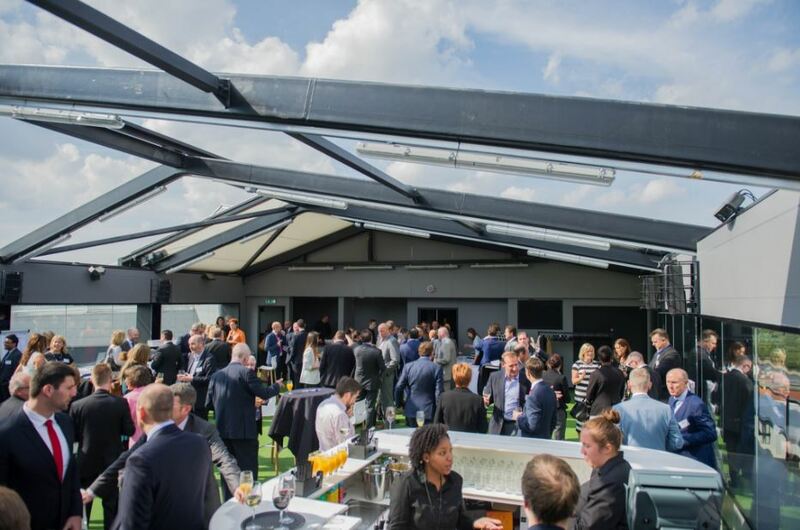 Anything is possible on the roof, a drinks reception, sit down dinner, wedding, concert or a 5 a side match. Whatever your requirement are our team will be on hand to make the impossible possible! If you would like to book - or for any enquiries, please contact the meeting and events team on 0161 751 0434. Alternatively, please email meet@hotelfootball.com. Contact Hotel Football directly or use our simple contact form.